Bumps and lumps are a natural part of life, but for most people, the end goal is to have smooth, blemish-free skin. That’s why skin tags can be so irritating. They’re extremely common, but many of our clients don’t know much about them. This is everything you need to know about skin tags and how to get rid of them. Skin tags are small, soft pieces of hanging skin. They are benign tumors of the skin. They can appear anywhere on the body but are commonly found in creases or where skin rubs up against skin or clothing. Skin tags are commonly found in areas such as eyelids, armpits, under the breasts, upper chest, neck, and groin region. Skin tags are harmless and often appear around midlife. They’re equally as common in men and women. They don’t usually hurt, and many people never even notice they have them. Doctors aren’t really sure what causes them, but skin rubbing up against other skin is thought to play a role. Some studies have found an association between skin tags and low risk forms of HPV. 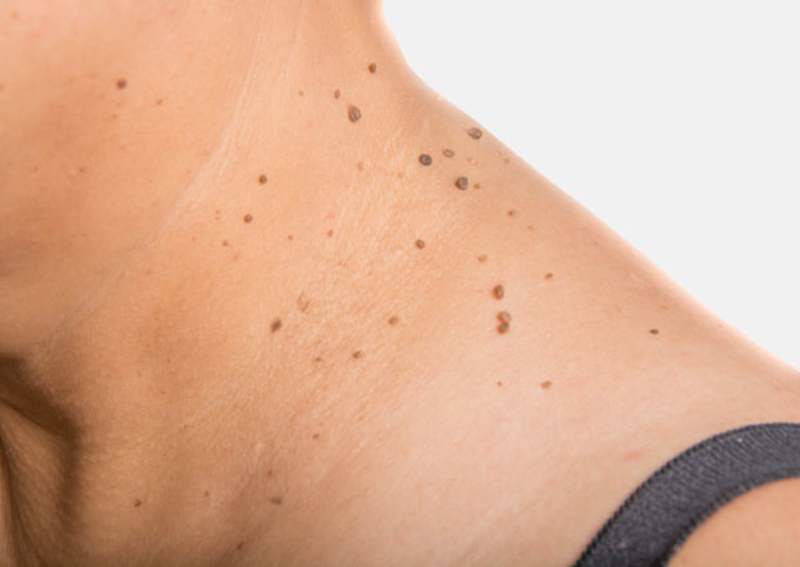 Skin tags can also run in families, so there is likely a genetic component. Skin tags are harmless, but that doesn’t mean you have to live with them. They may fall off on their own, but if you’re looking for proactive solutions stop by AFYA for a consultation. Here at AFYA, we recommend using Vasculyse to treat skin tags. Vasculyse is a safe, non-invasive treatment that effective removes blemishes. It works by using a mild electro-current wand to remove unwanted tissue. The skin will dehydrate and flake for a few days, removing the blemish, before healing itself. For skin tags, they usually fall off within 1-7 days after treatment. Contact us today to book a complimentary skin consultation or to learn more about how we can treat your skin tags!